Upper eyelid Blepharoplasty (“eye lift”): Reduces excess skin and fat in the upper eyelids. Lower Eyelid Blepharoplasty: Lower eyelid blepharoplasty is almost always done for cosmetic reasons – to improve puffy lower eyelid “bags” or to reduce wrinkling of skin. After the procedure, the initial swelling and bruising takes one to two weeks to resolve. Subsequently, several months elapse before the final result becomes obvious. The results of a blepharoplastyprocedure lasts for about 5 to 7 years or until age supersedes the corrective measures. 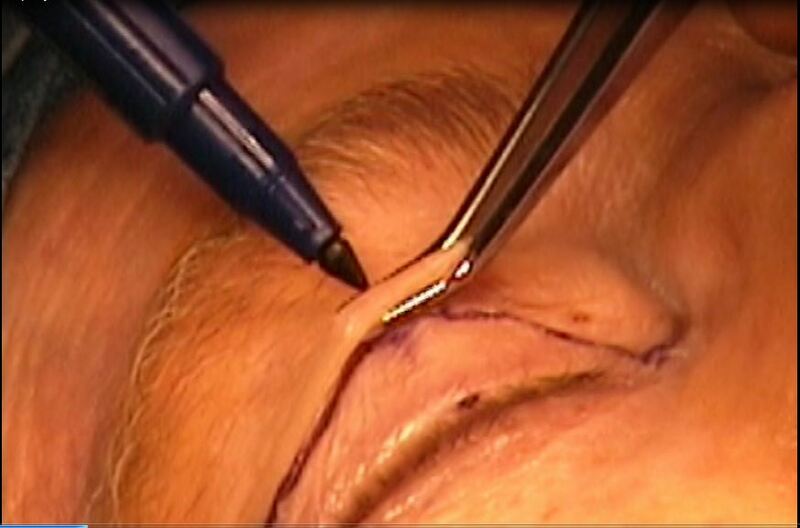 Incision Design: The design of the blepharoplasty incision depends on the patient’s eyelid, facial and eyebrow contours. The incision should be made along the eyelid creases or traverse transconjunctivally to ensure that the incision sites are not obvious or in plain sight.Blepharoplasty is usually performed through external incisions made along the natural skin lines of the eyelids, such as the creases of the upper lids and below the lashes of the lower lids. Incisions could be made from the inside surface of the lower eyelid (transconjunctivalblepharoplasty); this allows removal of lower eyelid fat without an externally-visible scar, but does not allow excess skin to be removed. External skin resurfacing with a chemical peel or carbon dioxide laser could be performed simultaneously. This allows for a faster recovery process. The operation typically takes one to three hours to complete. Initial swelling and bruising resolve in one to two weeks but at least several months are needed until the final result becomes stable.Blepharoplasty‘s effects are best appreciated by comparing before and after photos of surgical patients.